Click on the pages in this section to read about some of the activities on the pit top at Water Haigh which had an extensive system of railway sidings for storing wagons. The photo above shows some of the surface workers before the Second World War. 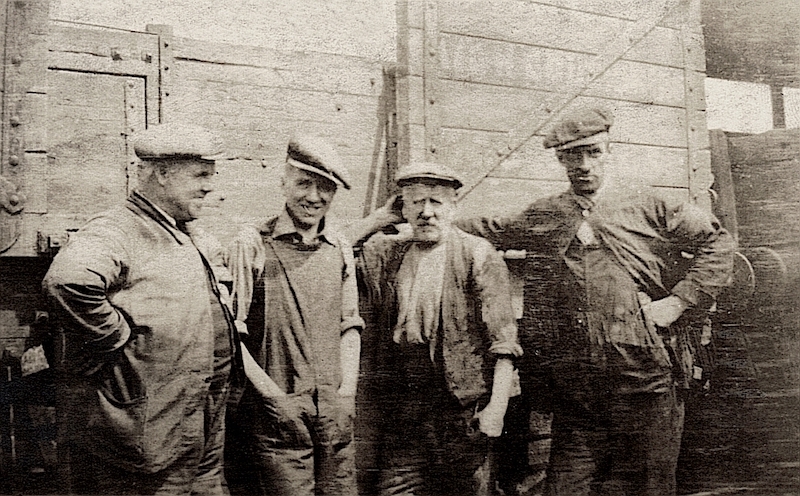 On the right is Bill Jeffrey, a driver of one of the steam locomotives used to shunt the wagons under the pit top screen and haul them to the canal side wharf. In his spare time Bill, who lived on Holmsley Field Lane, was a keen cyclist.